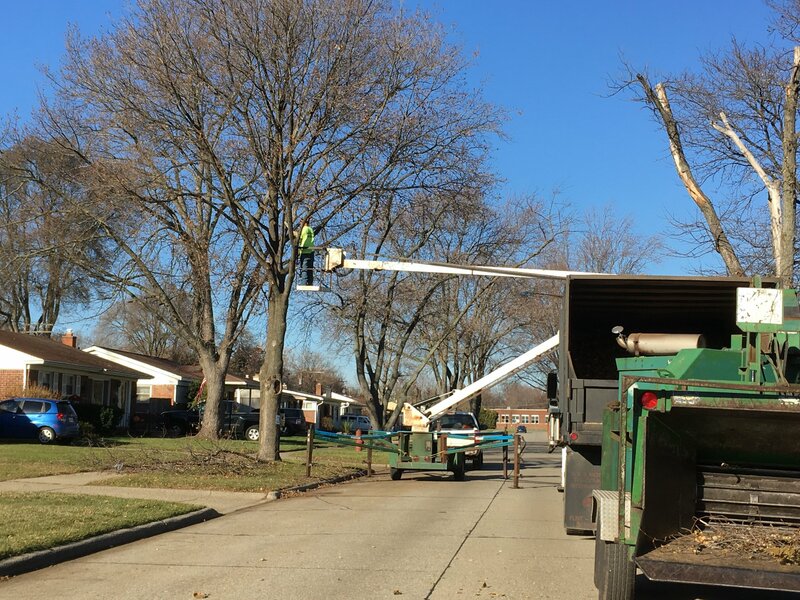 DEARBORN HEIGHTS, MI (11/29/17) – Crews began work today trimming trees along the neighborhood streets in the TIFA District. Only those trees located in the right-of-way, between the sidewalk and curb, will be affected. Planning of the project was done in cooperation with the city’s Department of Public Works, utilizing the city’s tree trimming contractor. The target area for this year is the neighborhood South of Pennie Street, just East of Gulley Road.